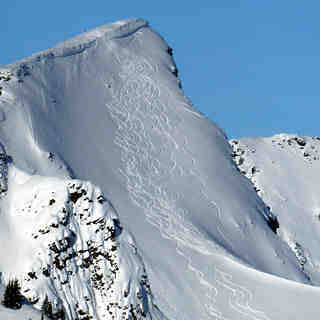 Schneit es monentan in Kicking Horse ?Vielen Dank! Formerly a heli-ski operation, resort construction began in fall of 1999 and Kicking Horse opened its doors on December 8th, 2000. 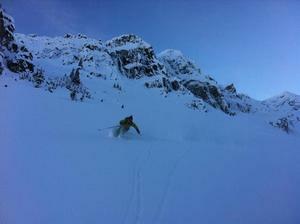 Kicking Horse is the first entirely new resort to be built in Canada in the last 25 years. An 8-passenger state-of-the-art gondola, the Golden Eagle Express, takes skiers from the village to the top of the mountain and a mountain top restaurant called the Eagle's Eye. 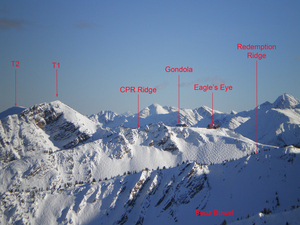 A lodge is located in the Gondola Plaza providing ski-in-ski-out accommodations for visitors. 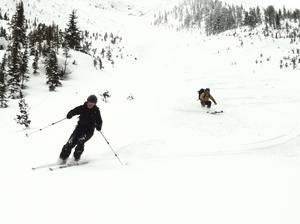 The skiing at Kicking Horse is, as they say, awesome. Townhouses are available on the mountain. B&Bs, cabins, chalets, hotels, lodges, and motels available nearby. But, it is in the middle of nowhere so don't expect to be in a big town with shops and clubs! Kicking Horse is a good mountain but that is difficult for the beginner because of the limited terrain for greens and blues. 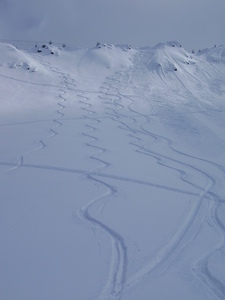 They will soon get tired of it which makes sense because they are just skiing the same runs over and over. I would recommend going someplace else with more of an abundance of easier runs. That is just my opinion though. Lesen Sie 61 andere Beurteilungen ueber Kicking Horse oder geben Sie Ihre eigene Bewertung ab.